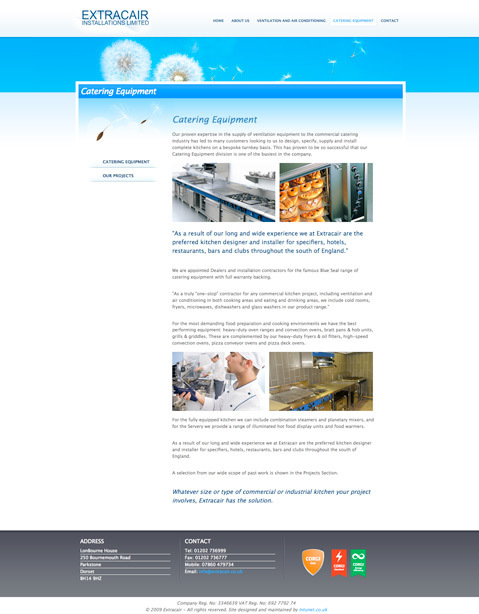 Extracair needed a site that presented both sides of their business - Ventilation and Catering Equipment. 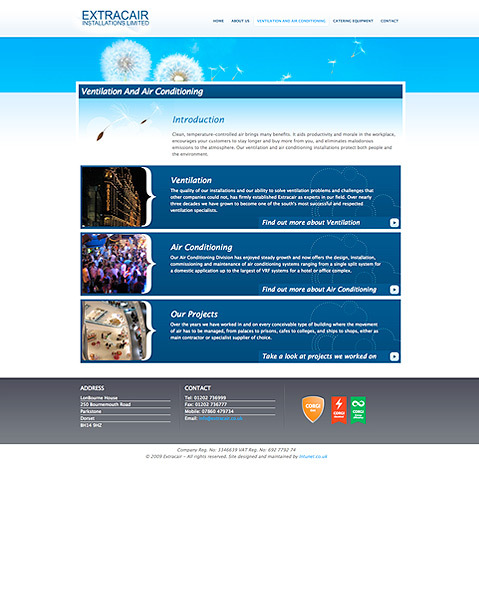 They also needed to refresh their online brand to reflect their current products and services. The sales team worked closely with the client to find out what they wanted to achieve with the site and a well thought out plan for the site emerged. 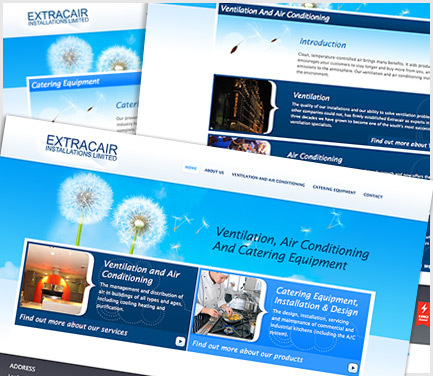 This process allowed us to provide a new online brand based around the idea of clean and fresh air for Extracair. The imagery of a dandelion shedding its seeds in the flow of fresh winds with clear blue skies gave the theme of clean moving air. This can be applied to keeping a nightclub cool and fresh and the supply and movement of fresh air to a hot and busy kitchen. Clear navigation on the home page, and colour coding throughout the site, clearly delineated the different parts of the company to customers browsing the site. 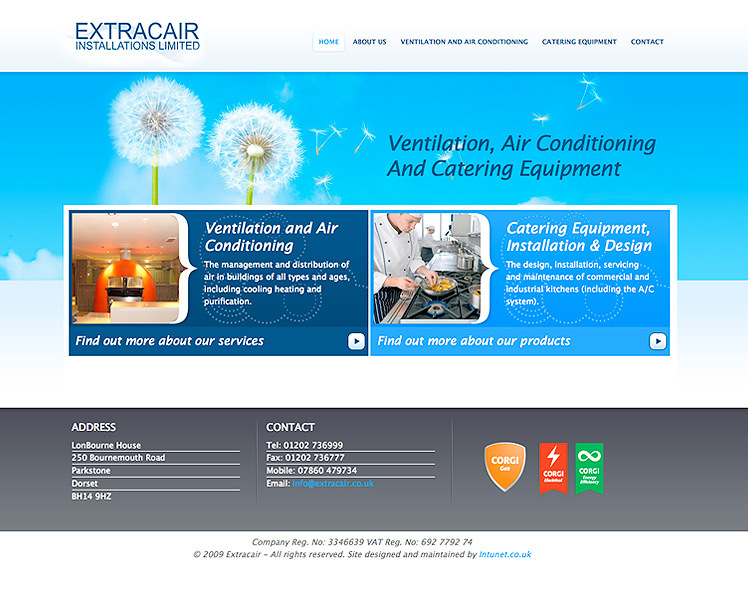 A clean and fresh look for Extracair's online brand which clearly reflects the different facets of the business - with special attention paid to the design and usability. The front end team embraced new ideas in the build of this site. As browser technologies move forward Intunet are making use of as many features as possible, still keeping older browsers in mind. A standards compliant implementation with XHTML, CSS and jQuery - built from the ground up with a keen eye on Search Engine Optimisation.